Thinking of becoming a dog groomer? You’ll need the right tools, dog grooming products and technical know how before starting. Have no fear – Doggy Planet have listed everything you’ll need to complete your dog grooming course. We have also outlined what a typical 5 day, 10 day and 20 day dog grooming course may potentially provide you with. What dog grooming tools do I need to become a successful groomer? 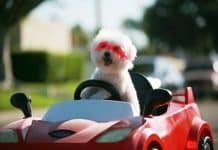 Becoming a dog groomer is now very possible whether or not you want to simply know how to groom your own pets, to work as a professional groomer in a salon or boutique to owning your own business. A good pair of dog clippers will always be required when grooming your dog. 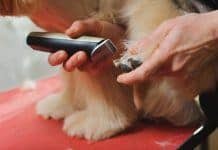 What type of dog clippers you will need, will depend on your breed, size and the personality of your dog. The Andis Agc Super 2 speed Professional dog clipper is ultra quiet, ergonomic (which reduces your hand fatigue), has excellent power and takes all a5 type blades. It comes with a number 10 blade which leaves 1.6mm of hair. They truly are a fantastic set of clippers and well worth the investment. They’re ultra quiet, ergonomic and come in a wonderful array of colours to choose from. Check out our full roundup of Dog clippers by clicking here. We have covered all budgets and levels of grooming ability. This excellent dog grooming table is available in 3 sizes and is portable, meaning when you’ve finished using it, you can neatly fold it and place it out of the way. It has a high quality adjustable height platform that features a rubber grip surface to keep your dog safe from slipping and fallling off. The Small sized grooming table is suitable for dogs up-to 50kg, the medium and large versions are suitable for up-to a WHOPPING maximum weight capacity of 150kg!!! 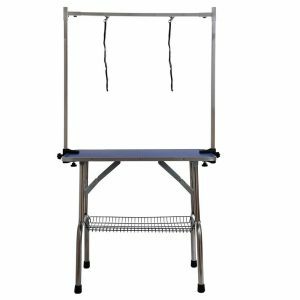 It’s premium build and great value-for-money price points make this dog grooming table suitable for both the professional and beginner dog groomer. With over 600 reviews on Amazon – you know you’re onto a winner! 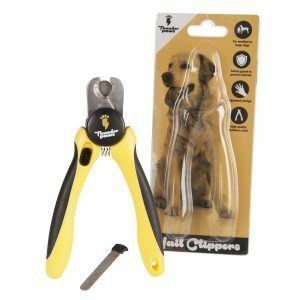 Click here to read our definitive guide to choosing the best pair of dog nail clippers to suit your budget. 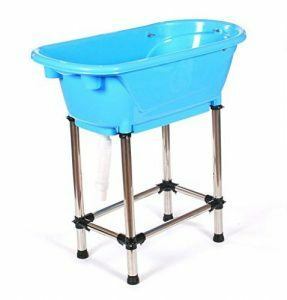 This dog bath by Pedigroom comes with strong aluminium legs that can reach up to 91 centimetres and hold dogs of up to 80 kilograms. You, thus, no longer have to lean over every time you need to bath your dog. These aluminium legs, also, make bathing a less wobbly experience altogether. Click here to read our definitive guide to choosing a suitable dog grooming bath for your breed, size of dog and budget. Some people may opt to save thousands of pounds and teach themselves how-to groom their dogs. Whether you’re able to teach yourself to groom will be down to the individual but this book by Sam Kohl has some EXCELLENT reviews and is much cheaper than attending a practical course! Book is in full colour with instructions for over 193 breeds of dog! And it even has a section about how to successfully run a dog grooming business. The newly revised, user-friendly All Breed Grooming Guide 4th edition by Sam Kohl features in-depth explanations on how to groom 193 breeds. This one-of-a-kind guide has been a longtime favourite of grooming schools nationwide. It’s informative with lots of pictures and is fairly easy to follow with some readers referring to it as their “grooming bible”! A good dog grooming course should be bespoke and designed around each of student on a one to one basis from dog grooming for beginners to the experienced dog groomer. The duration of a dog training courses should be flexible and based around you, allowing you to go at your own speed and existing commitments. 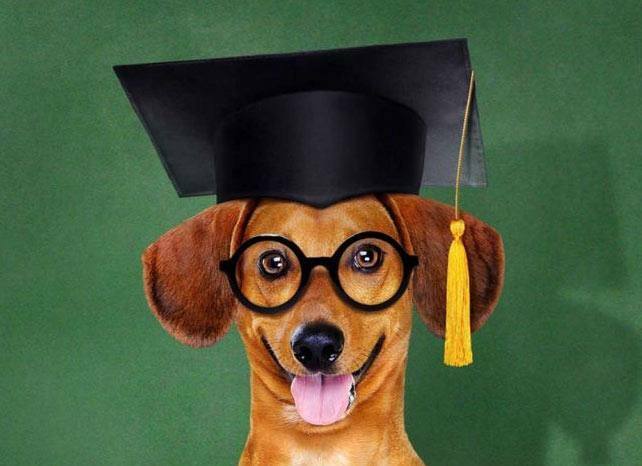 Your chosen school should have a number of dog grooming tuition centres located throughout the UK. Equipment may or may not be supplied including a provisional uniform. Check out our list above to find out what you should have as a bare essentials. Your course should offer you a professional, clean, real dog grooming environment where you will not only learn to groom dogs but you will also get to see the “business side” of a successful dog grooming business. Due to the high demand for dog grooming courses places, students may be asked to fulfil an application process. Upon receiving your completed application, your chosen school will be in contact to notify you if your application has been successful. If you are hoping to complete your dog grooming courses to become a professional dog groomer – you should take into consideration the commitment that this will require. Before places are offered onto a dog grooming course, potential students may be asked to use one of the following options to see if you and the school are the right fit. A potential free half a day – to meet tgeir Master groomer & course mentor to discuss your dream of becoming a groomer & see how they do things. A small fee for a day with your chosen school, grooming and taking part. (the charge is typically used to pay for insurances for the day and is deducted from the course fee. This is not refundable). This is offered, so that you can experience if Grooming is the right choice for you. You may be allowed to take part in the grooming of dogs and to spend a day with with a real dog groomer. You will experience first-hand, their approach and ethos. This will give you the perfect opportunity to discuss what the right way forward into the industry would be for you. Please take a look at typical courses and their duration below (please note that these are just a guide and each school will differ). A typical 5 day beginners dog grooming course. Ideal for beginners with no or little experience as well as those with experience. You will typically be taught how to provide a full grooming service on several different breeds and coat types. Introduce more clipper and scissor techniques and explain how to customise a cut. Your course should cover 5 days of dedicated practical work and easy to read and follow self-reading activities that will give you the theory knowledge. Upon completion of the course, you may be offered a few days of work as a paid groomer. This formula has been very helpful for those to get real hands on confidence to getting started with their dream of being a groomer. Additional days can potentially be added at a disclosed and agreed upon daily rate – if required. Will be ideal for beginners with little or no experience and for those who wish to develop their knowledge for grooming styles and technique. You will most likely be taught how to provide a full grooming service on several different breeds and coat types. Introduced to more clipper and scissor techniques and shown how to customise a cut. The course will cover 10 days of dedicated practical work and easy to read and follow self-reading activities that will give you the theory knowledge. Additional days may be offered at an agreed upon day rate. A 20 day course will be for those who want to start a grooming business of their own. You should expect to be taught you how to provide a full grooming service on several different breeds and coat types. Introduced to more clipper and scissor techniques and shown how to customise a cut. The course should include the Health and safety, legal information and business modules required to setting up your own business. This course will cover at least 20 days of dedicated practical work and easy to read and follow self-reading activities that will give you the theory knowledge. Additional days should be available should yo need them. Grooming for Owners. Dog grooming courses for beginners. These type of courses are designed to give you the skills involved to safely and correctly manage your own dog grooming needs. From daily maintenance to styling. To ensure you are aware of the dogs needs and to develop confidence to make sure you can groom them without stress and without restraint. Professional dog grooming courses. No previous experience. This course is ideal for an entry into the grooming profession. It should cover the main principles of grooming both theoretical and practical. A wide range of dog breeds should be provided for you to groom under supervision. Varying from Toy breeds to the gentle giant breeds. Practical and Theory tests should be required. Professional dog grooming course. With experience. This course will be structured to the individual who has / is working in the grooming industry. Developing existing skills. Duration as required – minimum 20 days. In the Pet industry, Dog grooming is a highly saturated industry. Currently there is no Legal legislation to state that one needs a qualification to become a groomer. This simply means that a majority of groomers open over-night. The more responsible individual will seek some sort of knowledge – from online courses to paying for either a private tutorship or NVQ or C&G. The understanding of what grooming a dog entails is typically described as a prescribed service – no different to the set of procedures one would do when having your teeth cleaned. This is unfortunately a seriously wrong understanding. Then there is the attention to detail with regards to the groom. Bespoke styling and a vast array of techniques are used to produce the finished styling. Whether you choose to teach yourself or find a dog grooming courses online or via a school, make sure that you’re comfortable and ready to learn! Previous articleBest heated dog beds available in 2018!